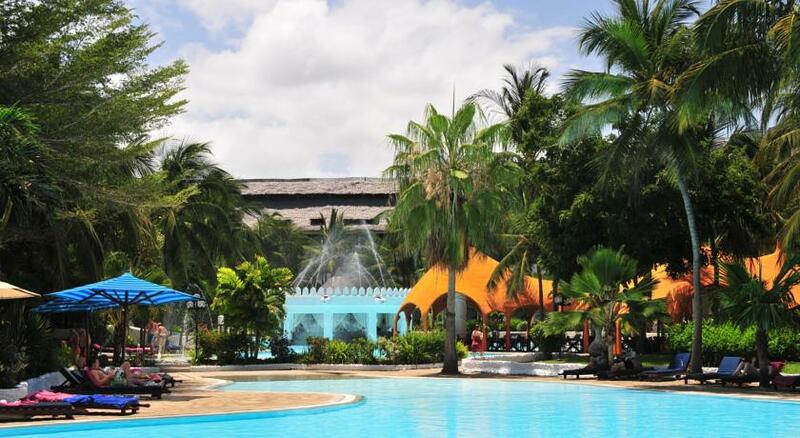 This is the ultimate luxury resort located in Mombasa. 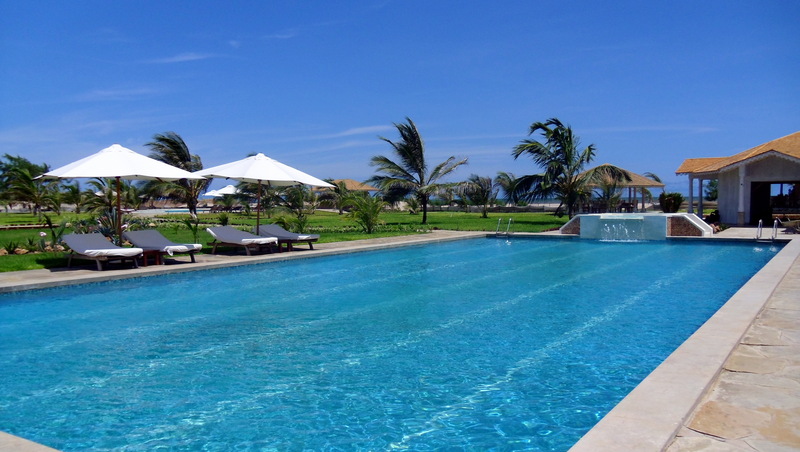 The resort is a 5 star paradise made for you to enjoy and forget all your problems. 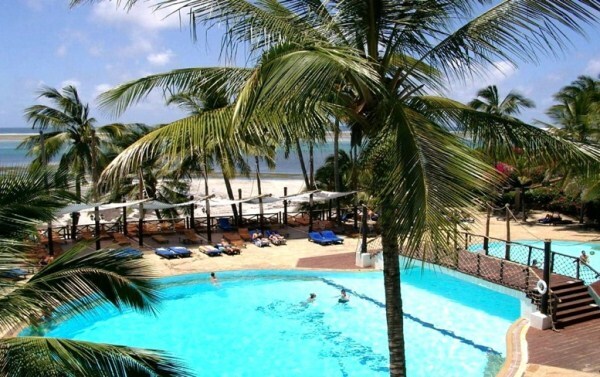 It is located at the white sands of Diani Beach just next to the Indian Ocean. 123 rooms and suites are available for your choosing. The venue has a Swahili themed minimalist decor. 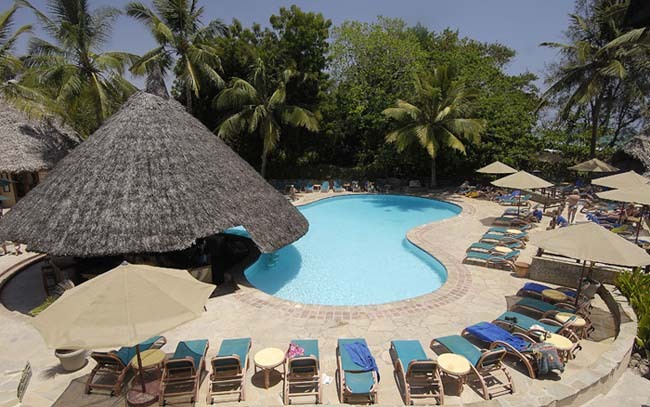 Swahili Beach Resort is located in the famous Diani Beach right at the South Coast. This is a good hideout spot right after your wedding. The suites will blow your mind with its terraces overlooking the ocean,very stylish furnished rooms and they are really huge. This is another resort located next to the Indian Ocean and it offers a mix of traditional Arabic and Swahili architecture. The food and entertainment is very spectacular. As a couple you may not want to leave this place when the honey moon is over. It is located in Ukunda Kenya. 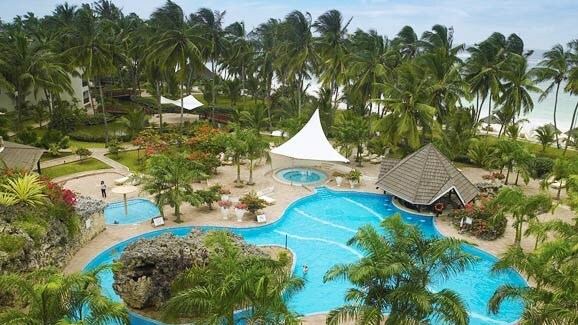 Voyager Beach Resort is located near Mombasa. 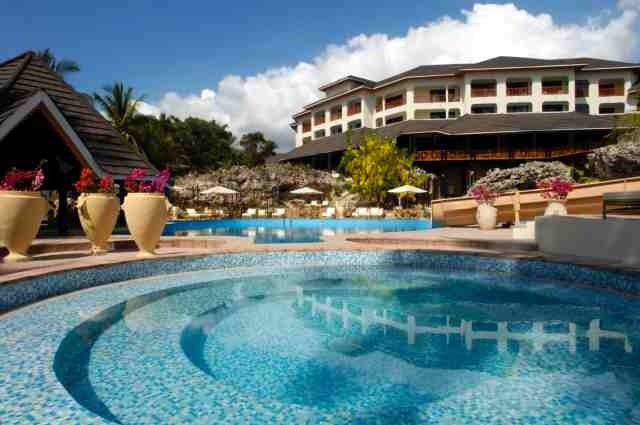 It has a lush tropical green garden, sparkling waters at the pool and white sandy beaches. Their cuisine is out of this world plus they offer live band music. You may end up having to drag your partner out of this paradise. 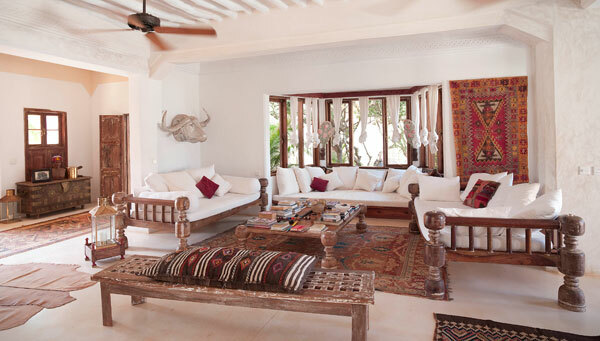 The Majlis is the place to go if you want to have your honeymoon in Lamu. 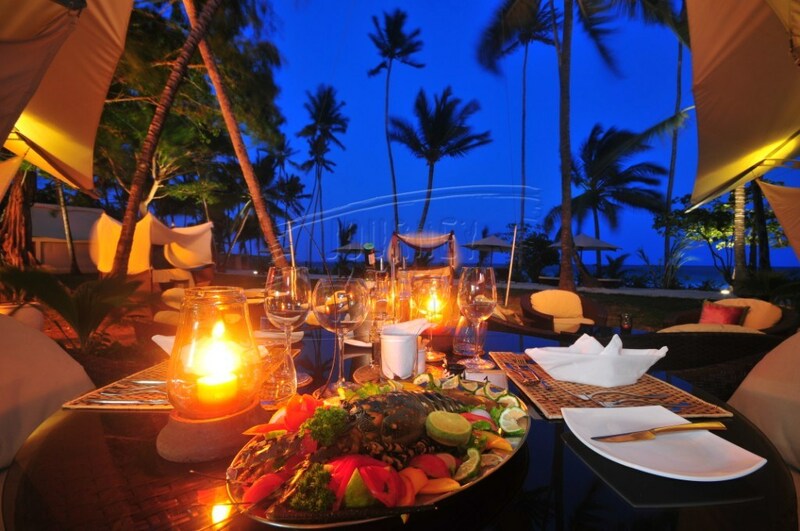 It is located on Manda Island and has the perfect blend of Swahili and Western culture. There are various water sports activities like sailing, fishing etc. As a couple you will be able to enjoy nice refreshing cocktails while enjoying the breath-taking view of the sunset everyday. This is the perfect place for privacy that is needed by newly weds. 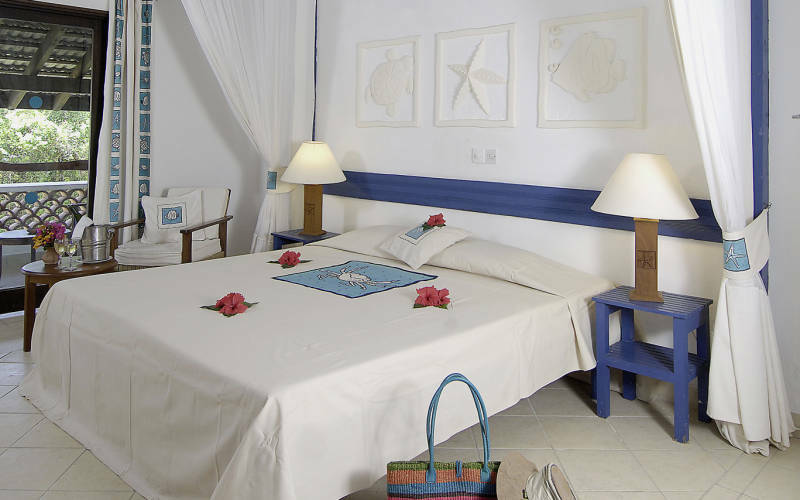 You will get to enjoy surfing, scuba-diving, snorkeling and many other activities. 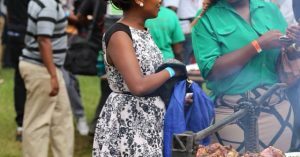 The cuisine offered is to die for. 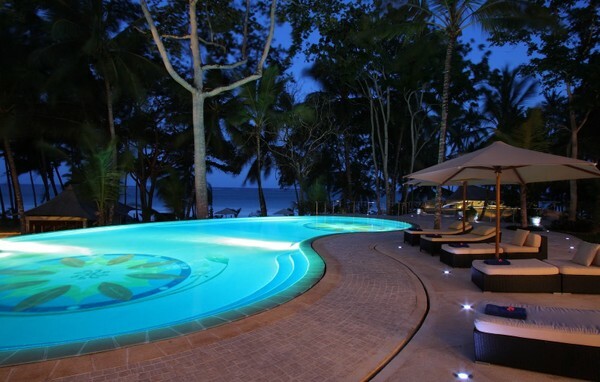 There are luxury resorts in their lush green gardens next to the beautiful white sandy beaches. It is definitely a 7 star experience in Africa. 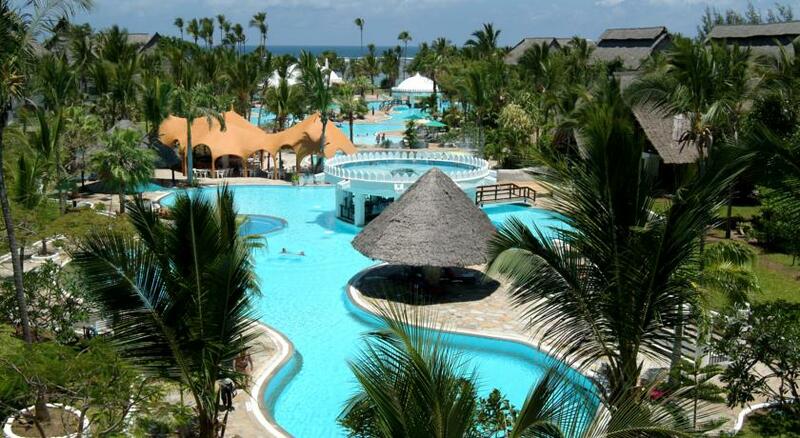 Ocean Beach Resort is another gem at the Kenyan coast. It has one of the best spas in the country called Morjana Spa. 20 rooms and 15 suites with wooden beam roofs and also comfortable wooden floors are available. 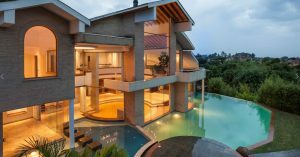 Two huge pools and a jacuzzi are some of the things you won’t fail to notice. The restaurants offer very tasty cuisines. 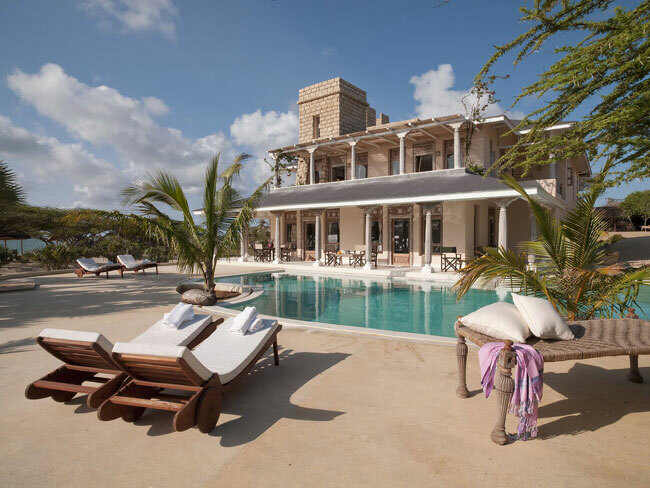 The resort is located 2km north of Malindi town.